Last Sunday again saw two groups of Birdwell Wheelers set out from Brewers Fayre roundabout at Wombwell for winter training rides. 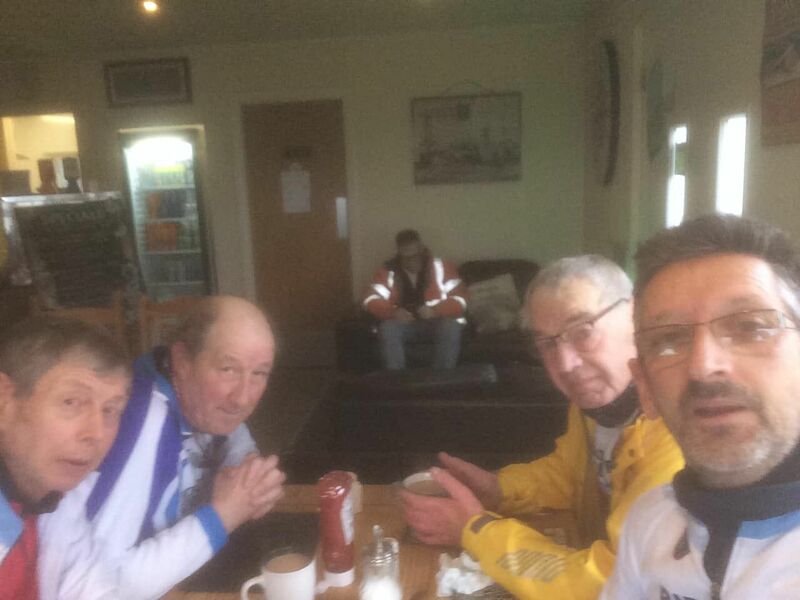 Austin Watson, Rodger Holmes, Philip Adams and Steve Myatt rode a 60mile loop on quiet roads to Snaith with a cafe stop at The Old Station Station House, Snaith. Chris Jenkins, John Woodhouse, Robert Parkes, Dave Hudson and Marc Peasegood rode a longer 80 mile loop to Goole calling at Morrisons for a café stop..